Pinnacles National Park (known as Pinnacles National Monument until 2013) is located in the Salinas Valley east of the 101 Freeway near the cities of Salinas, Soledad, and King City. 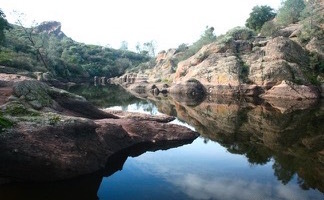 The over 26,000-acre park protects a distinct pocket of inland mountains that is not connected to the larger Santa Lucia Range to the west. This isolated park packs surprising beauty, with peaks formed by volcanoes along the San Andreas Fault that are distinct from the surrounding landscape. Most of Pinnacles National Park is located in San Benito County, but a small section at the south end drifts into Monterey County. Roads enter Pinnacles National Park from the east and west, but no road travels through the park. This leaves the heart of the park accessible only to hikers. 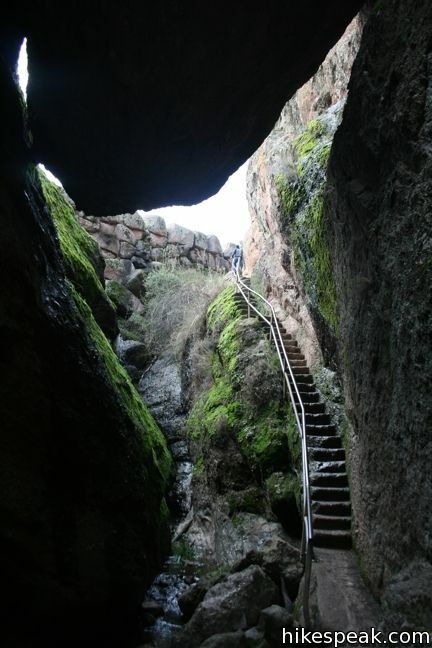 High Peaks Trail and the trails trough the caves are favorites for California hikers. 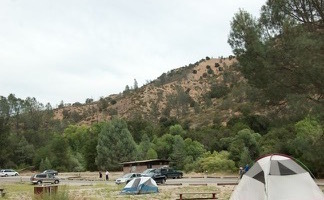 One campground in Pinnacles National Park services those staying overnight. 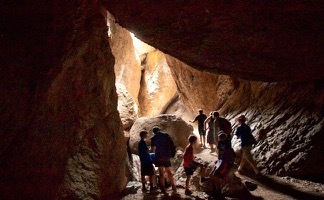 This selection of hikes in Pinnacles National Park, with links to complete write-ups, includes the average rating compiled by users of hikespeak.com (although the creator of hikespeak feels that each of these ratings deserve to be higher). 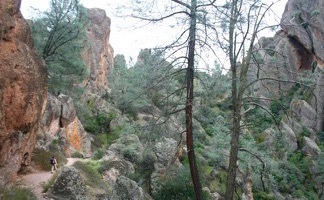 Find your favorite hike in Pinnacles and then come back and share a comment or a rating! 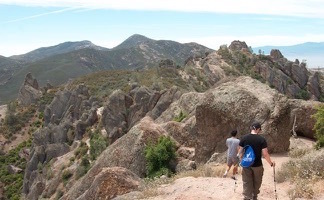 This 2 to 2.4-mile hike starting from Chaparral Trailhead on the west side of Pinnacles National Park ventures down Balconies Trail past impressive rock formations and through a fun talus cave. 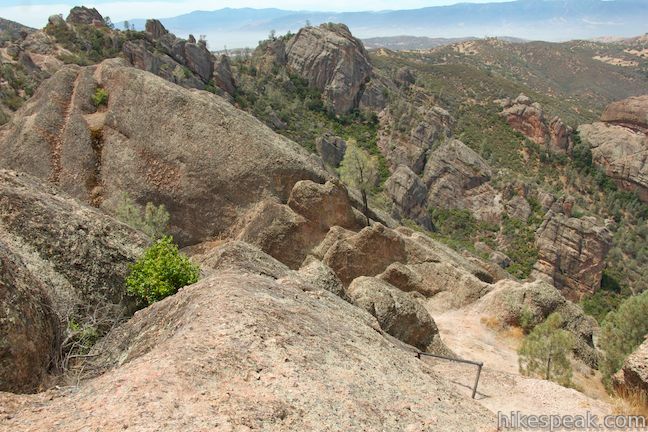 This 5.3 to 6-mile loop crosses the roof of Pinnacles National Park on an incredible journey.